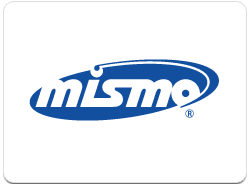 TORRANCE, Calif., Feb. 11, 2015 – DocMagic, Inc., the mortgage industry’s leader in compliant loan document preparation and driver of complete eMortgage adoption, announced that its entire solution set now adheres to version 3.3 of the Mortgage Industry Standards Maintenance Organization (MISMO) Reference Model. The Consumer Financial Protection Bureau’s (CFPB) Integrated Disclosure Rule combines the mortgage disclosures required under the Truth in Lending Act (TILA) and the Real Estate Settlement Procedures Act (RESPA). It requires lenders to use the new integrated disclosures beginning on Aug. 1, 2015. Successful compliance with this rule depends on use of the latest version of the data standard. What can the industry expect when the CFPB’s final rule and new forms take effect next year? When federal regulators change the rules governing the requirements for originating a mortgage loan, it can mean pain for both the industry and the consumers it serves. But this time, the move to an integrated disclosure may surprise you and translate into an unexpected side benefit to all parties—that benefit is the eMortgage. For almost a decade and a half, proponents of all-electronic lending have urged lenders to take the paper out of the process in favor of fully electronic mortgage origination. 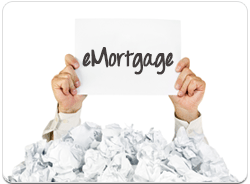 Despite its significant benefits, eMortgage adoption gave way to the critical mass of lenders unwilling to abandon their legacy systems and paper-intensive processes. Meanwhile, behind the scenes, lenders’ partners have been implementing systems that allow them to complete more of their loan origination workflow without stopping to paper out. The reality is that a fair amount of lenders have, in fact, been operating fundamentally without paper up until the loan closing, when they print all of the forms for their borrowers’ signatures. We all know regulation drives change, and the new integrated disclosures lenders will begin using next year provide all the incentive needed to let go of the paper once and for all. Here’s why. 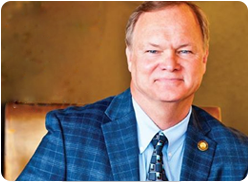 "In this marketplace, a commitment to mortgage lending is a commitment to compliance." As a mortgage lending professional, your job is to make loans to qualified borrowers. Are compliance concerns cutting into your productivity? 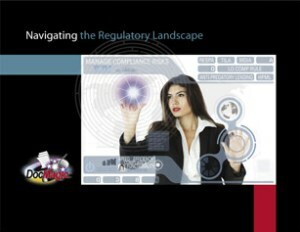 "Navigating the Regulatory Landscape" eBook is Coming Soon! As a mortgage lending professional, your job is to make loans to qualified borrowers. 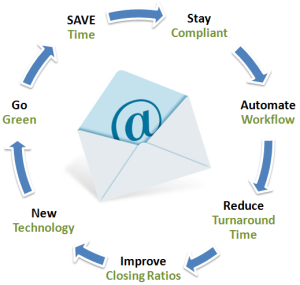 Are compliance concerns cutting into your productivity?